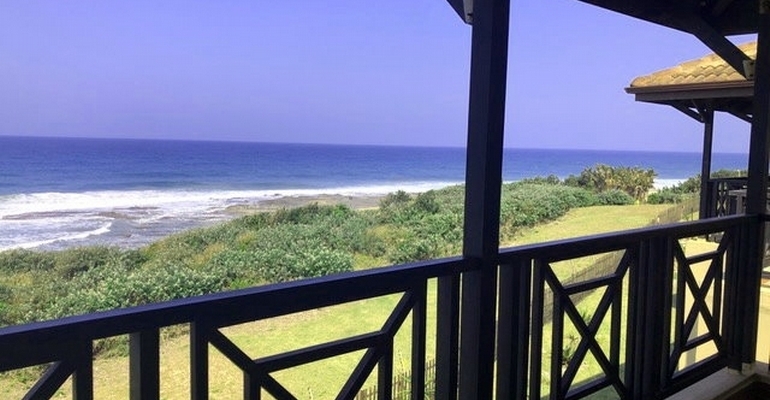 Bondi Beach 23 is a 3 bedroom, 2 bathroom holiday flat on the second floor with stunning sea views in an attractive Tuscan style complex, situated on prime beach front property with direct beach access. This complex has many entertainment facilities for youngsters, including swimming pool, tennis court and a club house. There is 24 hour security and an electric fence around the property. Please remember to bring along your DSTV decoder, smart card as well as your towels. There is an optional cleaning service at R120 per service.